In many parts of the world (including our neck of the woods), the ice is melting, the birds are chirping, and spring is about to be in full bloom. Spring is a time of rebirth, and that means many of us are in the “out with the old, in with the new” mindset, which makes it the perfect time to run a spring sale! Tap into the spring excitement going around by offering some fresh designs and products that will offer just the wardrobe & home decor refresh that everyone’s looking for. Here are a few tips on how to take advantage of the season and how to run a spring sale for your online store. Photography isn’t just crucial when it comes to mastering “how to run a spring sale” – it’s something you should refresh regularly for your Shop. The purpose of lifestyle photos is to sell a story and a lifestyle that customers want to be a part of. In other words, it’s all about the vibes. Make sure that your spring sale photos are creating the right atmosphere. Take that photo above from the 2017 Threadless spring sale. Not only are the products in that photo spring-weather related (short sleeve, light materials, designs with outdoors-y themes, etc. ), but the other items in the shot add to that atmosphere; the jackets & footwear are indicative of in-between weather, a skateboard suggests outdoor activity, Bandit our fearless dog model looks very content, etc. This photo is a little bit more fall or even early winter-oriented: the long sleeve shirt, autumn colored leaves, a warm knit hat, etc. Add tags to your designs! And for Artist Shop owners, there’s an added benefit to adding tags to your designs. 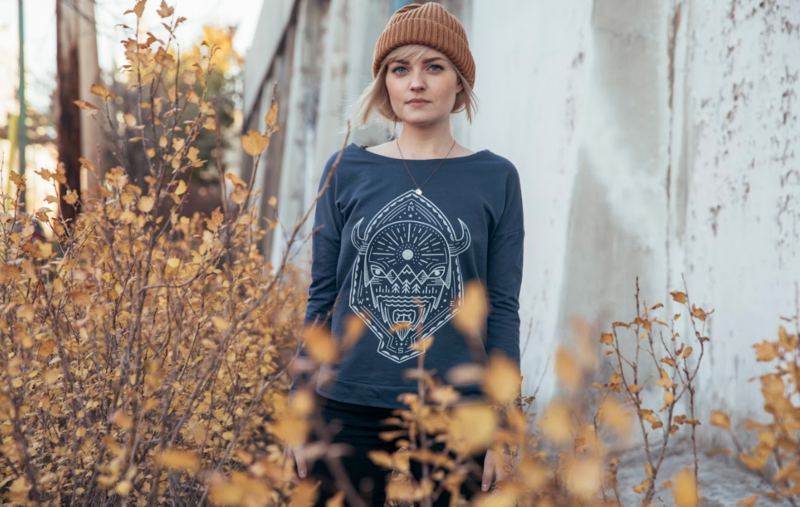 Your items & your Shop are searchable on Threadless.com and our search tool takes both titles as well as your design tags into account with each search. Choosing relevant words that people might use to search on our site for a design like yours will help get the right customers in front of your product. But fair warning: do not try to cheat the system and create a title full of buzzwords like “CAT UNICORN DINOSAUR FLOWERS” that you know will get attention – search engines from Bing to Google pick up on that, not to mention it looks as spammy as it is. Lowering the prices of ALL of your items for a super mega spring sale (Shop owners, use the Global Pricing Tool for this one). Lowering the prices of JUST your spring-related items or collections. Lowering the prices of just your cold weather-friendly items as a pre-spring ‘clearance’ or spring cleaning style sale. And don’t forget to sweeten the deal for customers by throwing free shipping* into the mix! Free shipping can mean the difference between a full yet abandoned cart and a full & fully purchased cart. 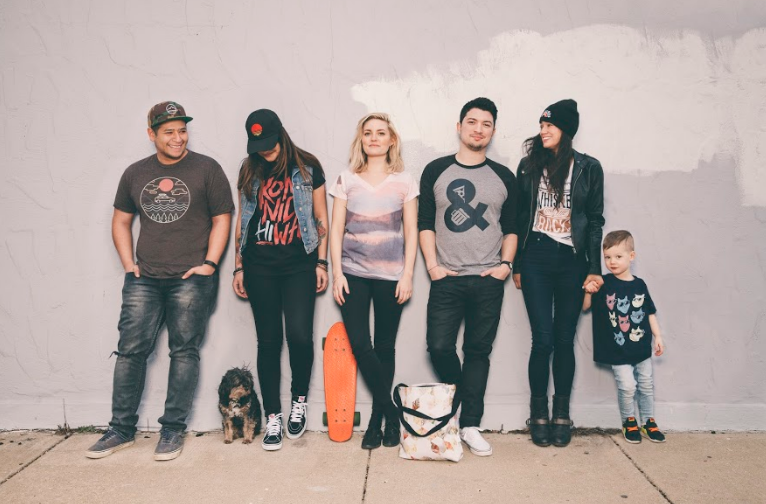 *Shop owners: take advantage of the final days of free shipping for your Shop this week! This is the perfect time to put on a spring sale and offer free shipping on top of it! We had stylist extraordinaire & blogger of The Paillette Gloria Cospito do a guest post for the Threadless blog. Reaching out to an influencer (bloggers, Instagrammers, & online personalities with a large online presence and following) and working with them to feature your items is a fantastic way to get your designs, products, and Shop in front of a much wider audience by tapping into theirs. 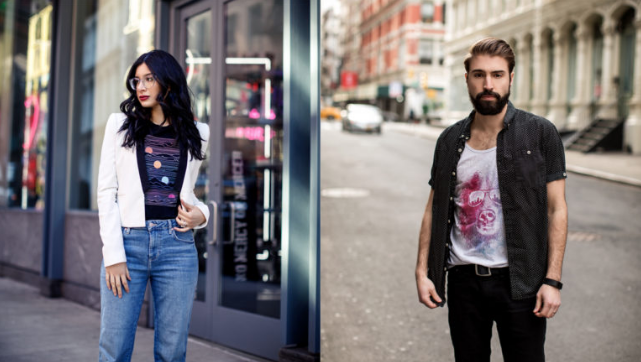 We recently reached out to stylist Gloria Cospito to style a few Threadless items in a guest post on our blog (as well as on hers). Not only did she make an incredible post for our blog, she also posted on her Instagram, putting our products right in front of her devoted following. Try reaching out to bloggers & Instagram influencers – travel bloggers/grammers who can do a weekend vacay packing guide with your accessories, fashion bloggers, even foodies who can bake desserts or mix amazing drinks in mugs from your Shop, etc. – to see if you can collab with them. Pro tip: their following doesn’t always need to be 100K strong. An Instagrammer or blogger with an audience of 3K or even 1K followers who are all devoted, regular followers can get you far. The “Palm Springs” design in Joanna Seiter’s Artist Shops is perfect for this time of year. When it comes to figuring out how to run a spring sale, one of the keys is to get people in the mood for the season! Add fresh new designs – even limited time designs to create urgency – to your online store that tie-in with the theme of your sale. Try creating spring-themed collections: “Designs for Spring”, “Spring Vacay Must-Haves”, “Spring Florals”, etc. And Shop owners: have you tried doing all-over prints on your accessories? You can make accessory items like totes, phone cases, notebooks, zip pouches, etc. all-over pattern items! Try refreshing your existing items or add some new spring patterns and give it a spin! “Spring cleaning” is very real. Take advantage of this in your sale messaging and in the products you choose to promote. New clothing items make for a great wardrobe refresh, laundry bags are perfect for when that spring cleaning leads to a mountain of laundry that needs to be washed, and home decor items like pillows and wall art are the perfect thing for sprucing up a space without gutting it completely and starting over. Customers will be in the “new season, new me” spring season mindset – tap into that! Do you have your own tips on how to run a spring sale? Leave them in the comments!